Very clever, very simple dispenser for your Camellia Oil. Fill it up about half full and let the wadding do the rest. Essential for regular cleaning of shears, secateurs, clippers, knives and all those other sharp shiny things that have an annoying habit of rusting on you. 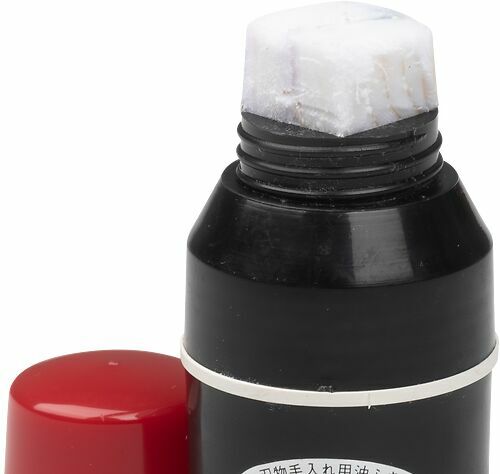 Niwaki Tip: Camellia oil's great for protecting tools from rust, and this dispenser makes it easier and cleaner to use.